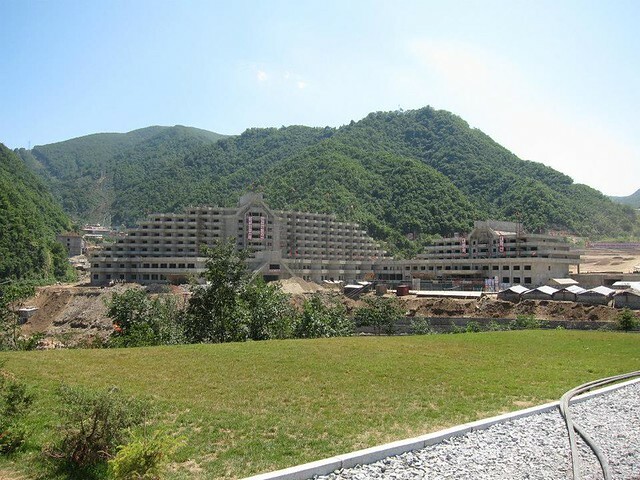 The North Koreans are building a ski slope, and despite setbacks over ski lift procurement, the mountain is set to open next winter. 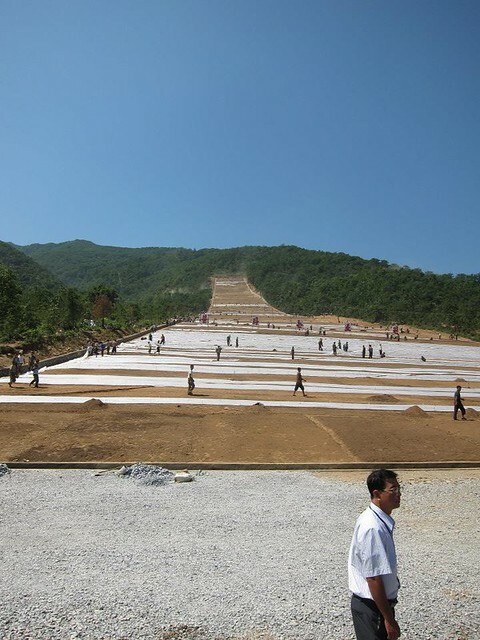 Last week the general managers of Young Pioneer Tours were the first westerners invited to the East Coast city of Wŏnsan to inspect the ski slope construction. 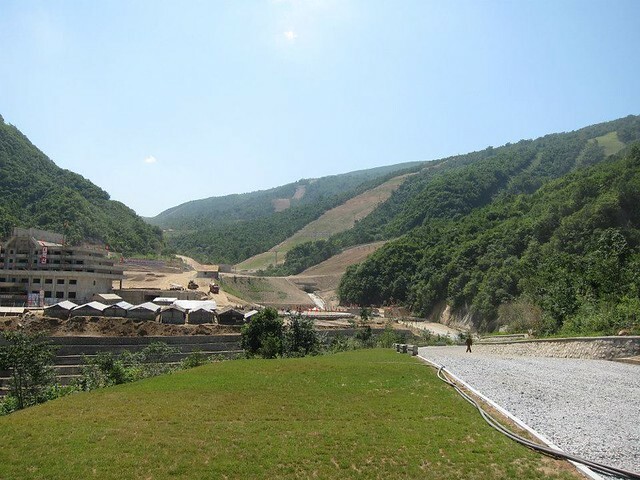 In addition to taking some of the first pictures of the ski slope, they also report that the mountain will be open to western tourists. 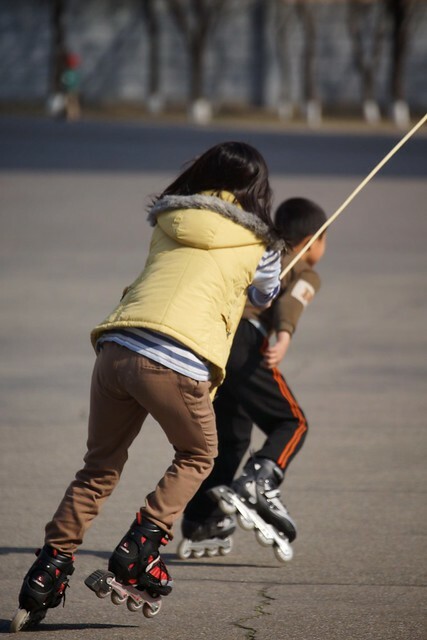 Skiers will be giving full access to the mountain – DPRK guides will not be chasing behind them! Young Pioneer Tours fully expects to offer several winter ski trips once the mountain opens – more details to come! Previously unseen inscription shows Rodman’s homage to DPRK founding leader Kim Il Sung. 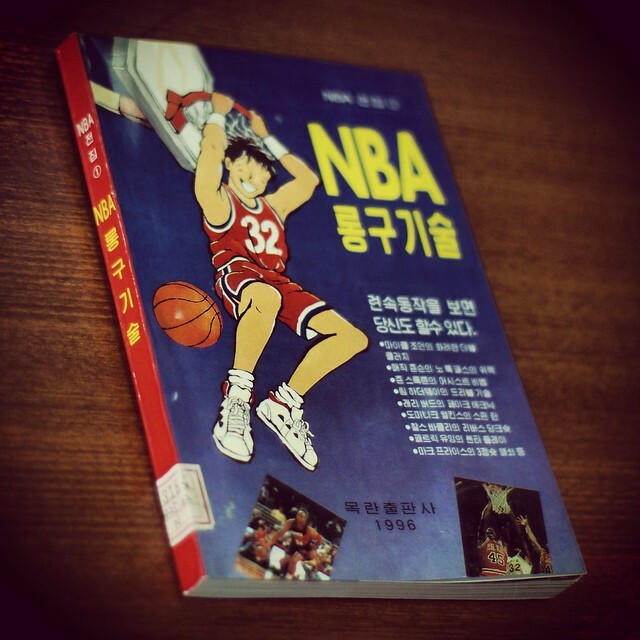 NBA book shown to my tour group at the Pyongyang Grand People’s Study House. 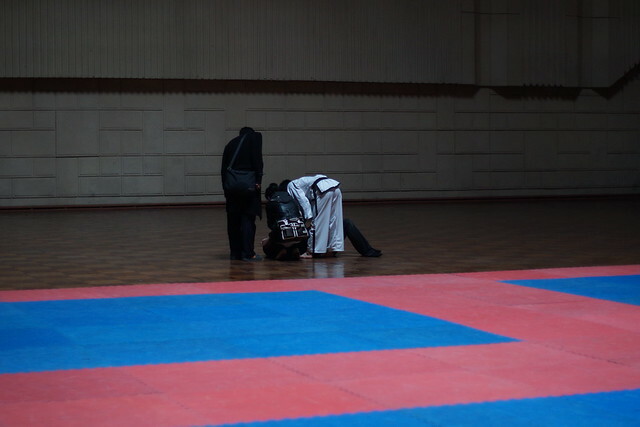 On my recent trip to North Korea I arranged a private Taekwondo demonstration at the Pyongyang Taekwondo Palace. 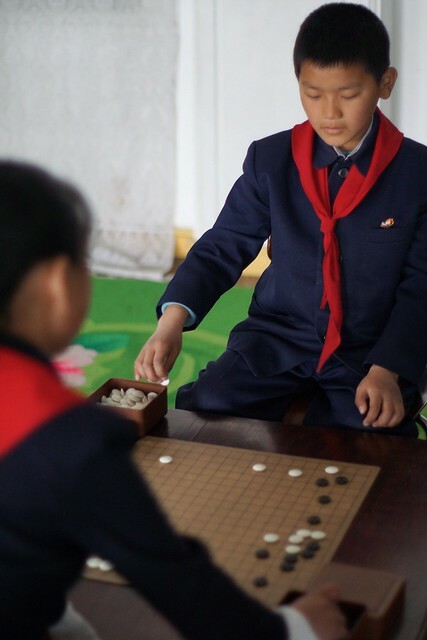 It was an amazing and extremely rare experience but the best part of the show was when we convinced the North Koreans to match their best against DPRK analyst and US Senatorial consultant Michael Bassett. Unfortunately (but expectantly) our American representative suffered a swift and devastating defeat! 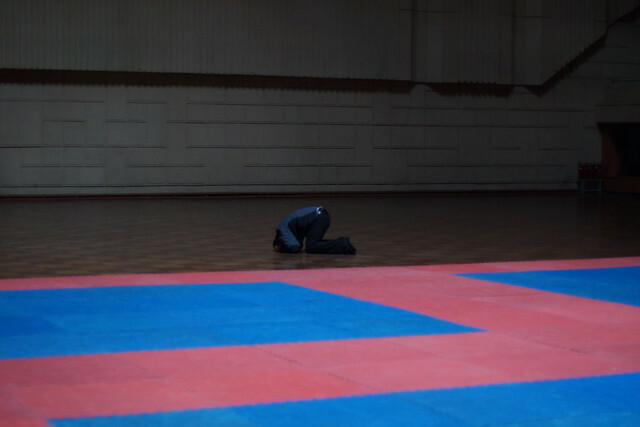 I assume the North Koreans will never let a tourist match up with their Taekwondo experts again – a first and last ever brought to you by American in North Korea. 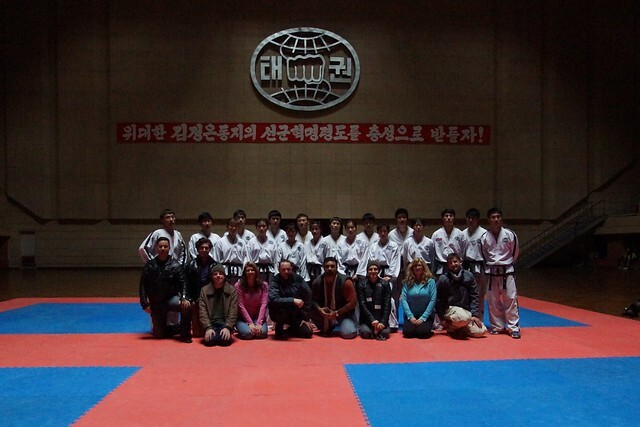 More pics from the Taekwondo demonstration to come. 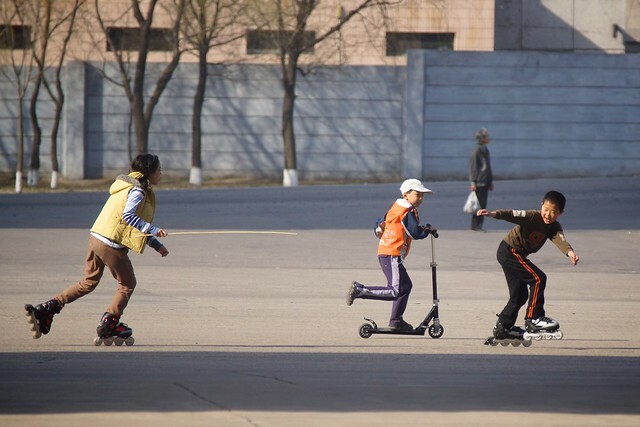 While the American media beats the war drums, and our citizens panic under a perceived nuclear missile threat, the citizens of Pyongyang, North Korea go on with their lives. 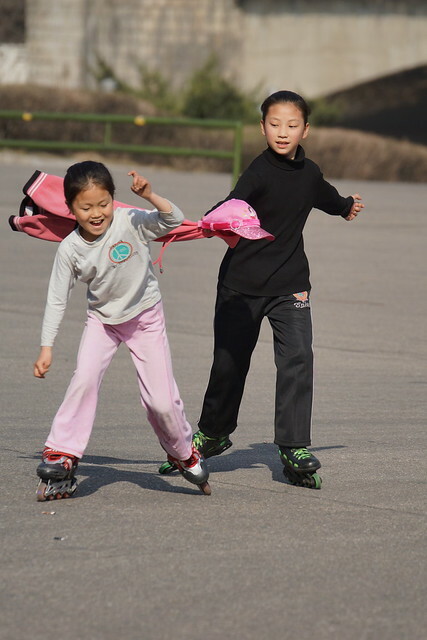 Girls rollerblading on the banks of the Taedong River. 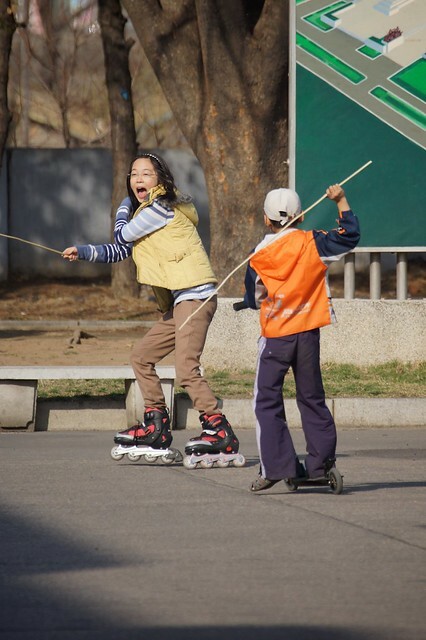 Boys rollerblading near the Arch of Triumph. 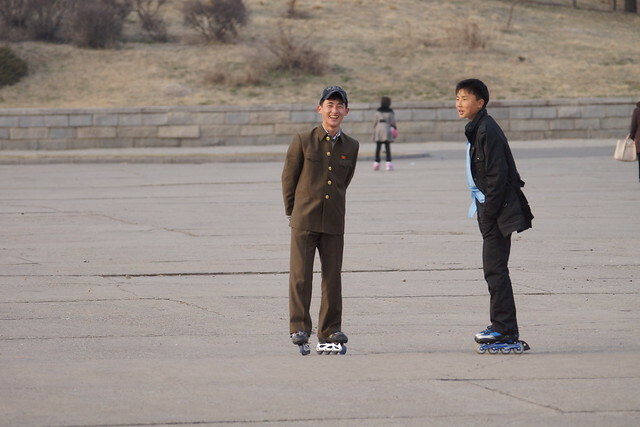 Photos from my March 30th – April 6th 2013 trip to North Korea. 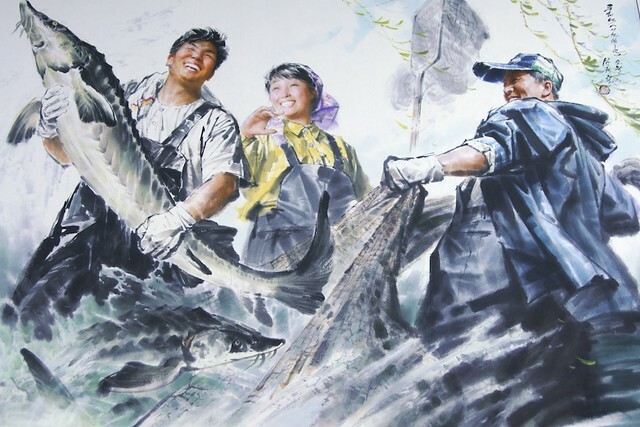 A painting of North Korean fisherman, Pyongyang Mansudae Art Studio, North Korea. The managing director and owner of Young Pioneer Tours and myself are teaming up to guide the first ever North Korean fishing trip! 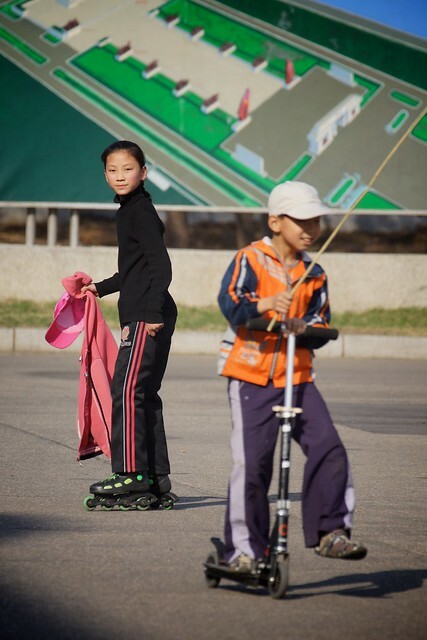 In addition to knocking back a few beers and fishing with North Korean old timers, we will be visiting the classic Pyongyang, Kaesong, and Wonsan sites, including a visit to the the Mausoleum for a viewing of Kim Jong-il and Kim Il-sung. Be part of something never done before, but we need interest to make it happen! Option A: fishing trip to the Rason Special Economic Zone, May 8th – 11th -more info on this trip to come! 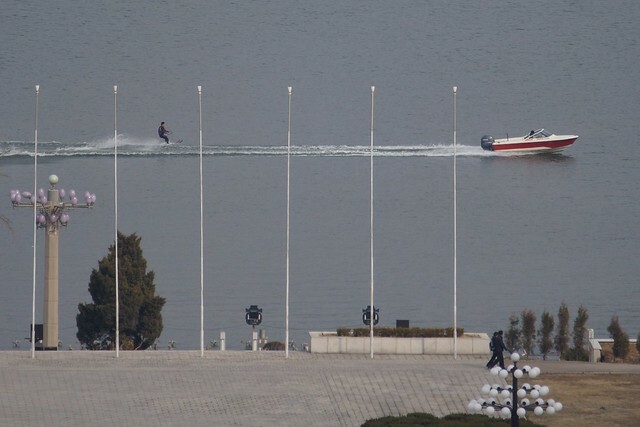 Option B: fishing trip to Pyongyang, Wonsan, and Kaesong – May 13th-22nd – Cost €1245 8 days in Korea + 2 on the train + 50 to fly out. 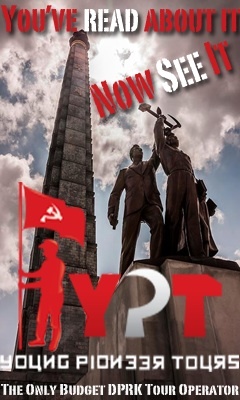 Leave a comment or email me at joseph@youngpioneertours.com for more info! 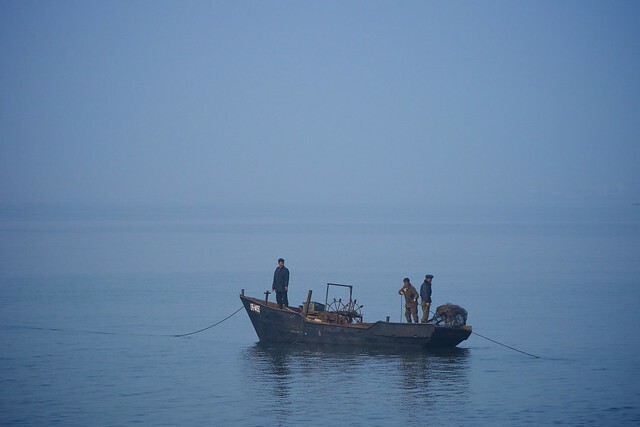 Fishing boat, Wonsan, North Korea. 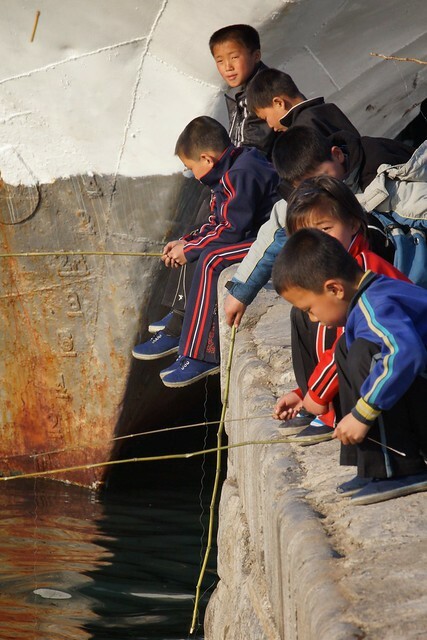 Boys fishing off the docks, Wonsan, North Korea. 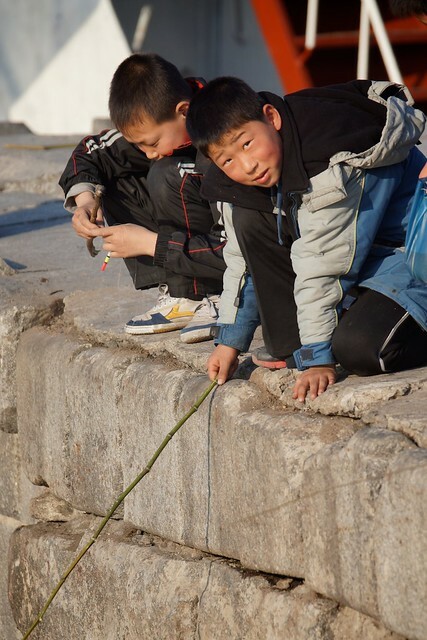 Boys fishing off the docks , Wonsan, North Korea. 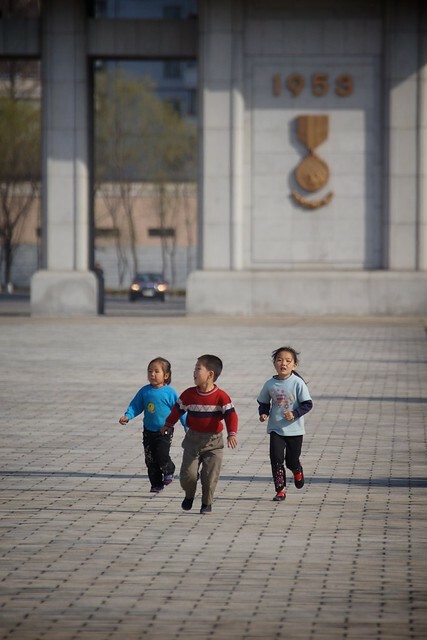 Children at play and out enjoying a sunny spring Pyongyang morning at the Victorious Fatherland Liberation War Museum. 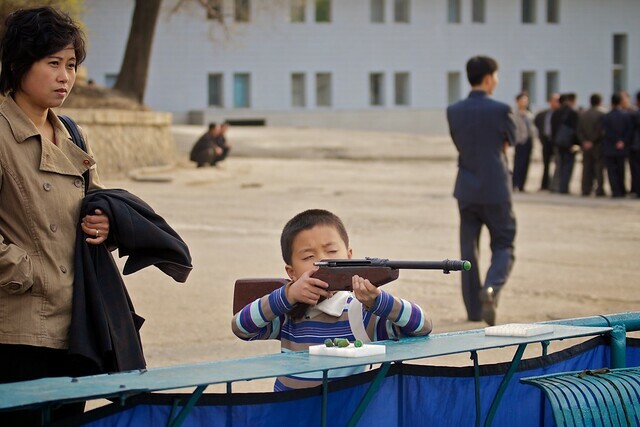 Back in the old days, North Korean citizens could vent their hate, frustrations, and propaganda whipped national fervor, by heading down to the local fun fair and testing their aim with a pop gun against posters and painting of the US boogieman soldiers and servicemen. 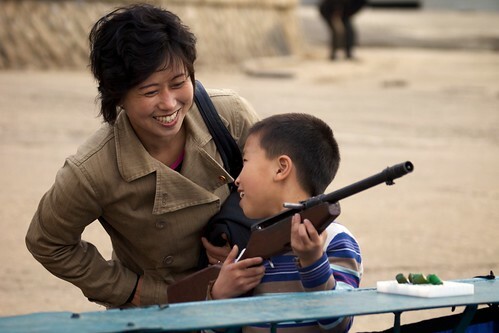 These days the anti US propaganda posters and paintings have all been taken down (at least where foreign tourists venture), but North Korean locals still enjoy going out to practice their aim at their local fun fair. 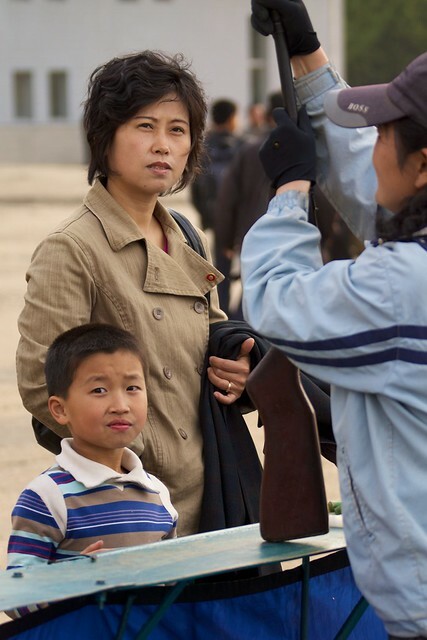 2011 visit to the Pyongyang pop gun stand. 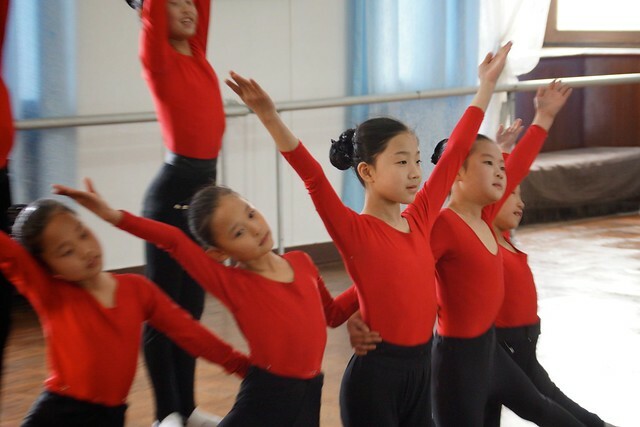 Last year we were late getting to the Pyongyang Children’s Palace – we got to see most of the show but missed the tour of the classrooms. 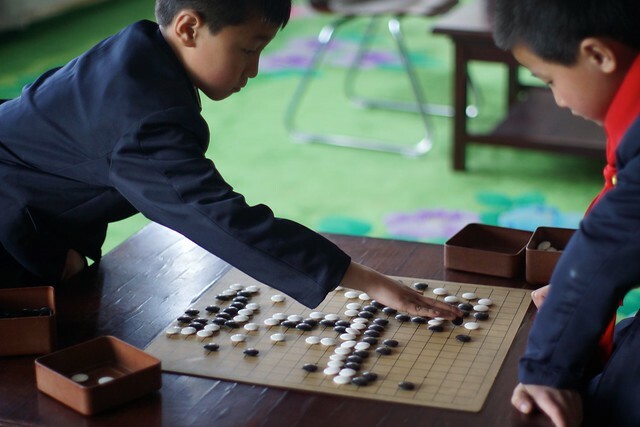 For this year’s visit to the larger Mangyongdae Children’s Palace I made it a point to arrive extra early so we could get the full tour – on a day when a major performance was scheduled for western tourists and foreign dignitaries we were the first group to arrive. Below is just a portion of what we were shown on our tour. 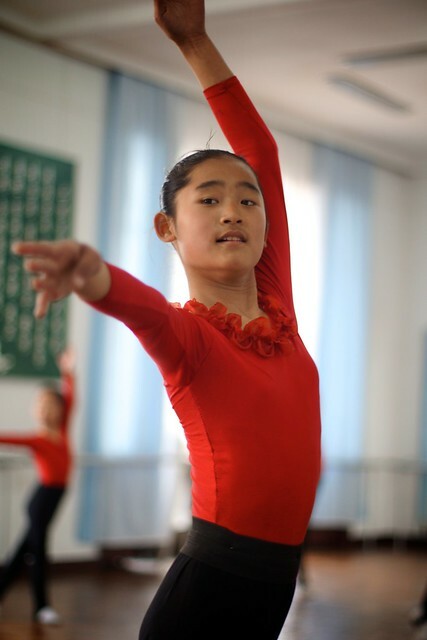 Child protegees train hard to perfect their skills in gymnastics and dance, while others students relax with games of volleyball and the traditional board game go. How much of this was staged for us and how much was typical of what goes on, visiting tourists invading their classrooms or not, I cant really say.